Come to think of it... 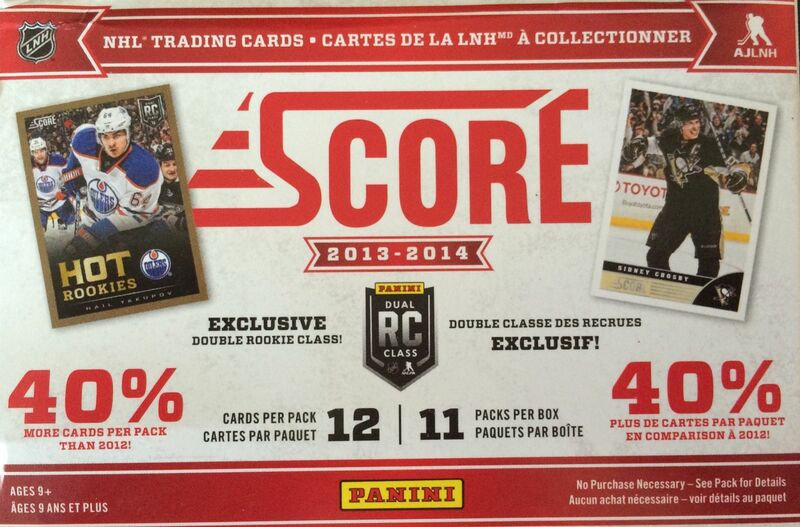 I don't think I've opened up one of these 13/14 Score blasters before. The stated retail price on the blaster actually made me do a double take clocking in at about twenty dollars. That's quite a jump from the previous years' prices. I guess the box does state that you get more in a blaster than what you did in the past... but for Panini to ask for twice the price and provide just 40% more content looks like a win for Panini. Though the suggested price of the blaster was originally quite high, I only paid about seven dollars for it from dacardworld.com. For that price, this blaster is a fantastic deal. You get a ton of cards in the blaster, and there is the possibilities of getting hits within, though unlikely. I'm expecting this blaster to really give out quite a bit in terms of insert cards. I'm not going to expect a hit like an autograph, but there should be fun content within this box to appease the collectors who buy it. Being lower-end, I believe companies should give the buyer as much 'fun' as possible. And the way to do that in lower-end products like this is with insert cards. This was the year of the double rookie class so besides insert cards I should also be seeing quite a few rookies as well. The Hot Rookies subset isn't big on collectors want lists, but pulling rookie cards is always a fun thing to do. Hopefully I get some good ones! As I thought, the Score break was actually pretty fun! I really delivered in terms of getting rookie cards, inserts, and parallels. There wasn't a hit in the box, but that didn't disappoint me. The first thing that I noticed as I was going through the box was that the packs felt thick - they had a lot of cards in them. That's awesome. Sometimes I forget how packs used to be! When you open up a pack from the 80's or early 90's, you were getting a good amount of cards. And the same can be said of these packs. This makes for a longer and more satisfying break - especially for people who want to enjoy the cards as they come out of the packs. 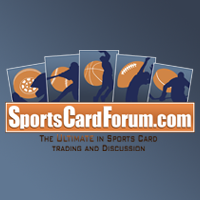 It was fun to see a slew of Sharks cards come out of the break. Unlike many higher-end sets, Score didn't limit the player selection. Instead, Score aims to include as many players as possible, so I saw some names on cards that I rarely get a chance to see on cardboard. 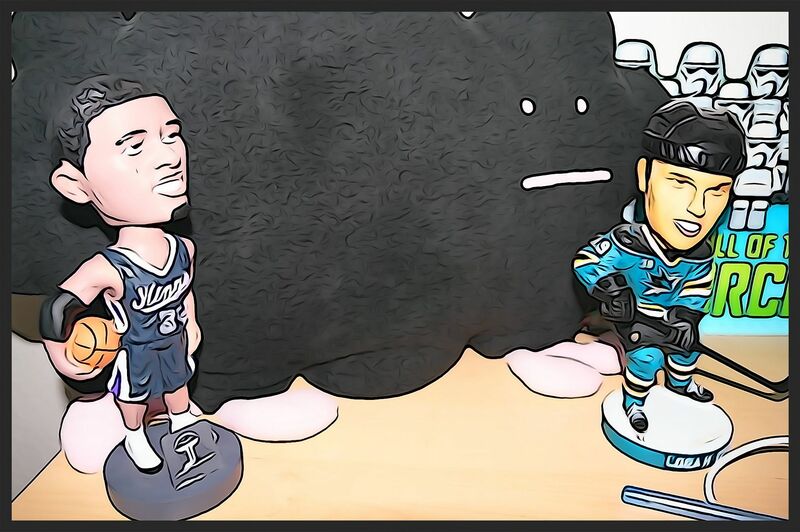 I also got two Sharks rookie cards in the break, which was good for me. I think this is the first Net Cam card I have from 13/14 Score. I have a bunch from previous years, but not so much this year. I like the updated look this set has, and the net cam always provides a unique perspective on the action. 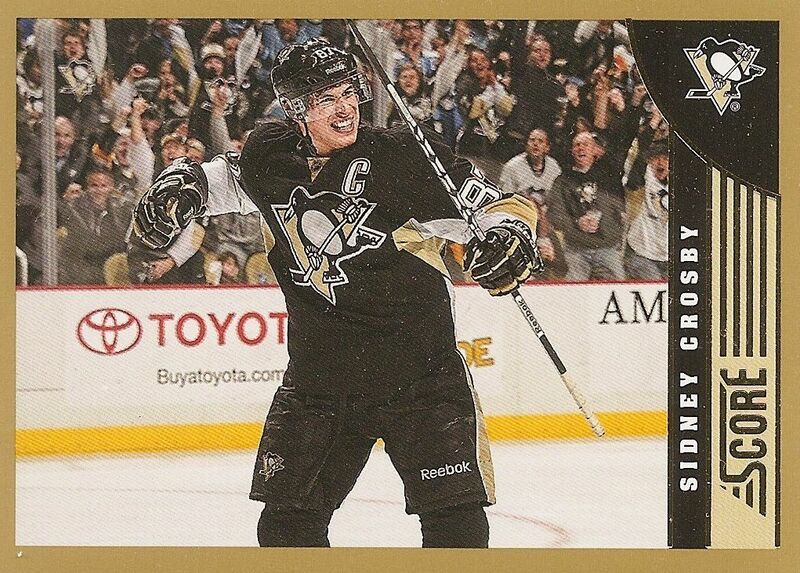 Sid the Kid is still the biggest name in hockey, so getting a parallel card of his is pretty nice. Gone are the days when a parallel card was coveted, but I still enjoy getting it nonetheless. Yep, another parallel! This time a rookie card. Brendan Gallagher has been haunting me a bit in my breaks recently... but that's not necessarily a bad thing! 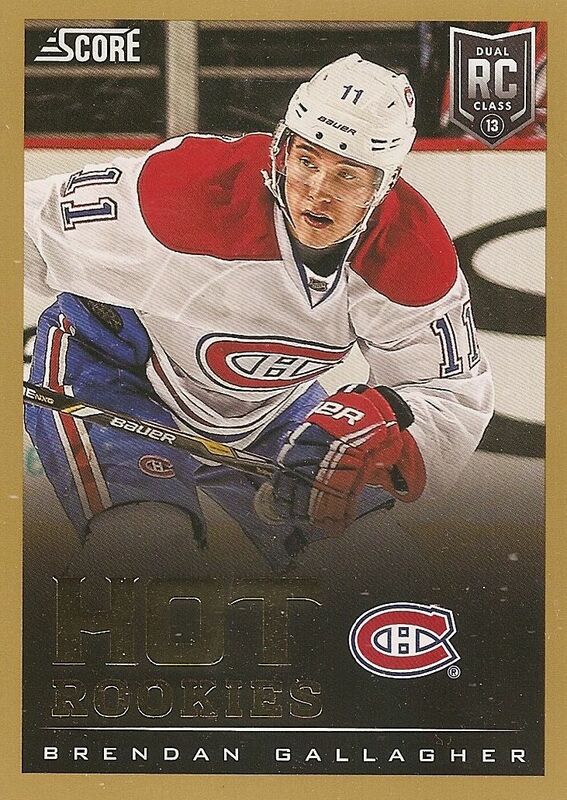 This is a nice gold version of his rookie card. For the price I paid for this blaster, the overall value was very good. I probably would not recommend this blaster at its full asking price of twenty dollars though. 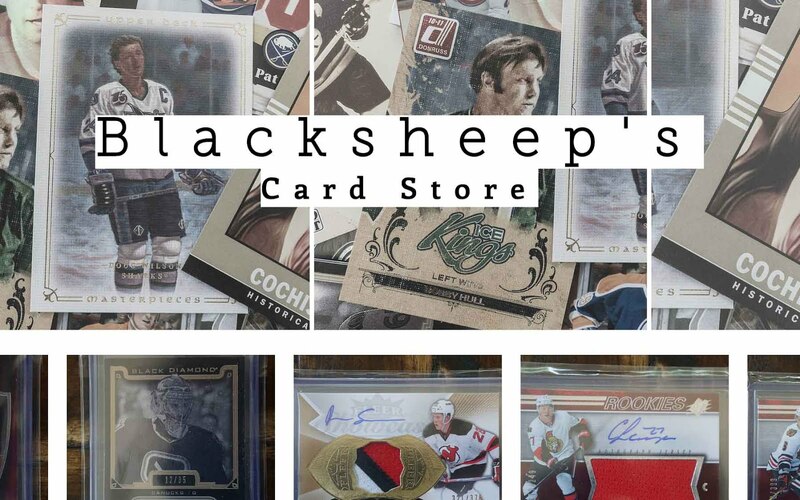 Score is a wonderful product for novice or casual collectors. It's also a good break if you're looking to see a whole lot of cardboard come out of your blaster box. Break a box for fun if you can find it for a steal!